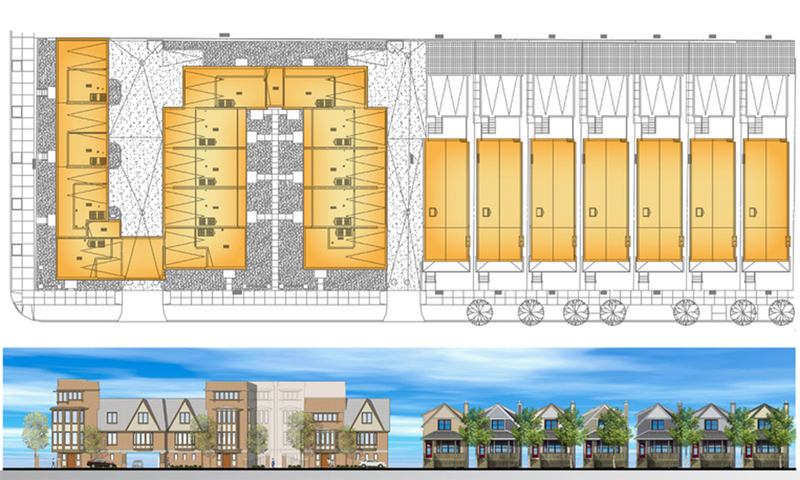 14 townhomes and 7 single family homes. The 4 story townhomes are arranged around a new pedestrian courtyard entered from Honore St., while the urban streetwall is maintained at Belmont Ave. The townhomes are designed in an Arts & Crafts motif. The 2 1/2 story single family homes are designed in a ‘Chicago Cottage’ motif to maintain the character of this traditional Chicago neighborhood.